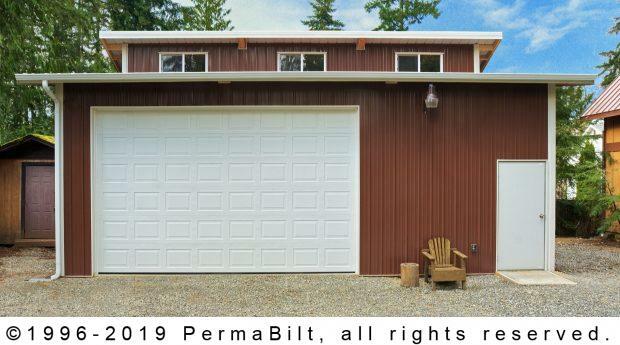 There’s a garage style, post frame building to fit any need. 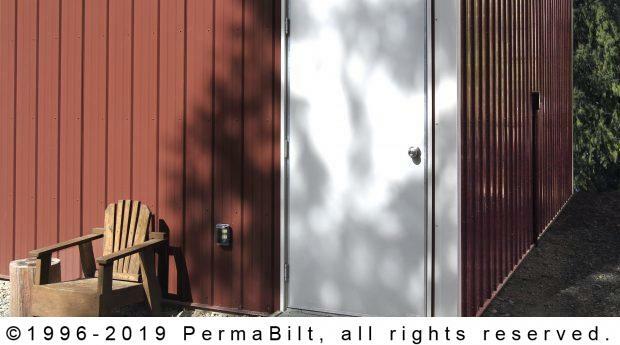 PermaBilt® starts with a detailed analysis that will meet space and aesthetic requirements. 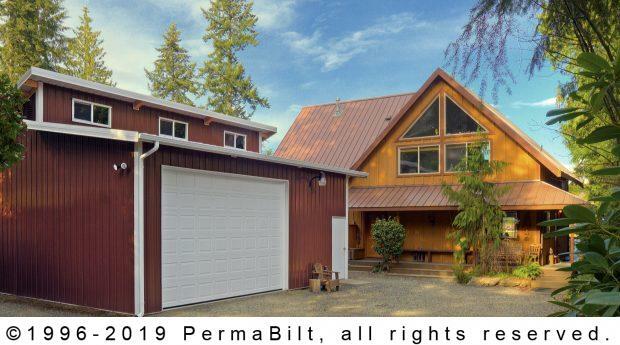 Because post frame building walls are non-load bearing, doors and windows can be situated to fit many designs. 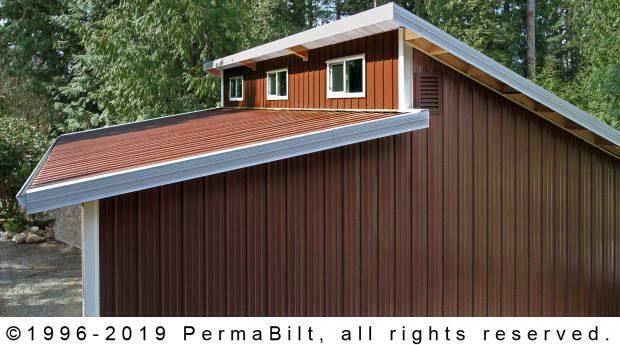 When our PermaBilt building representative met with our client in Snohomish Washington, style was uppermost on the client’s mind. 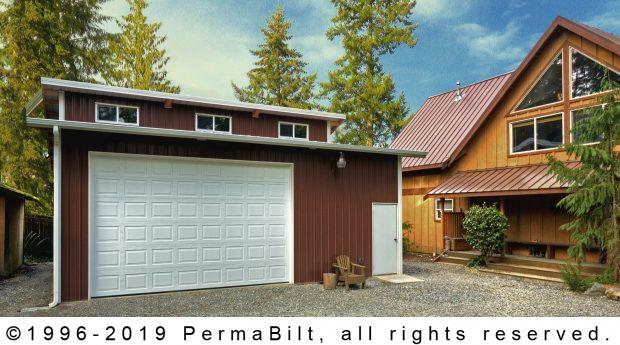 After determining site and logistic considerations, the two reviewed several of our more popular garage styles. As soon as our client saw the daylight style garage he knew that was what he wanted. 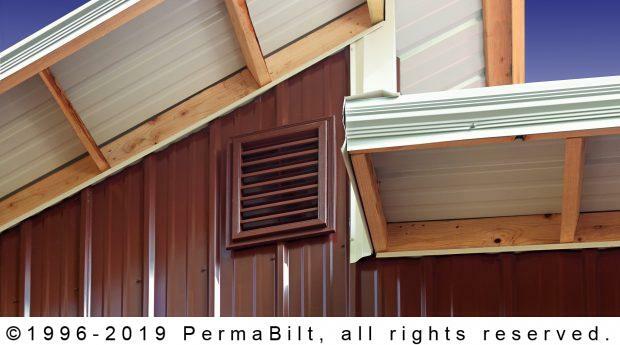 The unique style appeals to many of our customers due to the stylish lines of the building as well as the natural light that comes in on the upper eave via eave lights, or in this case, 3 windows. 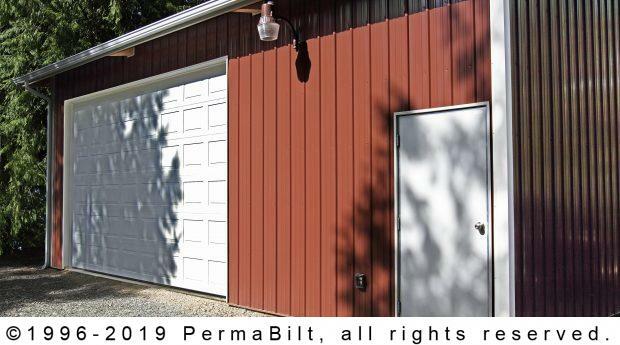 Once complete our client was very happy with his new brown daylight metal garage and we were proud he, like so many others, had chosen us to be his builder.